As recently reported by The Calgary Herald, more immigrants to Canada are choosing the west over Toronto. The number of new immigrants settling in Toronto has dropped from 48% in 2000, to 33% in 2010. According to a report by Statistics Canada, medium-sized cities on the Prairies seem to be one of the most popular new destinations for new immigrants. These changes in immigrant behavior are being blamed on several factors, including a stronger economy, the growth of Provincial Nominee Programs (PNPs), labor shortages in the West, countries of origin of the immigrants in question, and a deeper recession in Ontario compared to other parts of Canada. 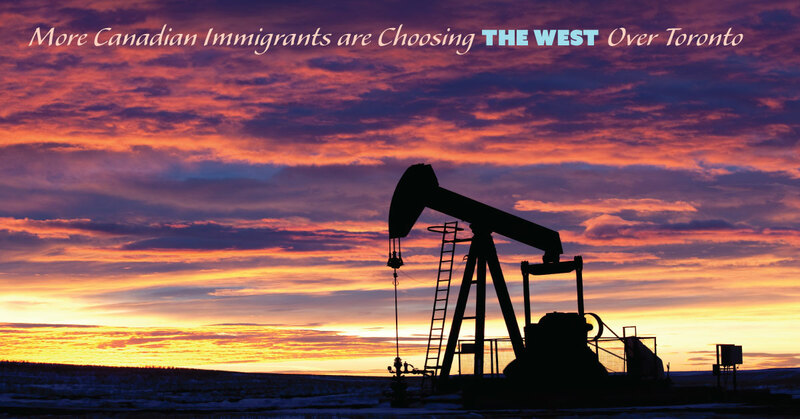 Alberta has proven a popular choice for immigrants. Between 2000 – 2010, the number of new immigrants in Alberta increased from 6.3% to 11.6%. Manitoba and Saskatchewan have also risen in popularity among immigrants to Canada. The most startling discovery of all is that so many immigrants are now choosing to shun larger cities such as Toronto and Vancouver, in favour of these medium-sized cities – the exception to this being Montreal, which saw a substantial increase of newcomers. So, what is it about Montreal that meant its percentage of immigrants increased from 12.5% in 2000, to 18.1% in 2012? Well, for a start there’s free universal healthcare provided by the government, plenty of employment opportunities, affordable housing, and a very decent education system. Montreal is known as a cultural center with an abundance of joie de vivre, diversity and international flair – it also has the closest resemblance to Europe, which may explain why so many Europeans are now choosing to settle there. More immigrants than ever before are choosing to enter Canada via a Provincial Nominee Program, up an impressive 12% between 2000 and 2010, and that’s not even taking the Western provinces into account. It also added the following: “Because of the small number of destinations that could be reliably examined, the effects of economic conditions and job growth could not be directly examined in the analysis, although they likely played a role in the changing shares of immigrants going to Alberta and Toronto.” Also, unsurprisingly, the shift in popular destinations seemed to match the shift in the intended destinations of the immigrants in question. Whether you are applying for Canadian visa, permanent residence or temporary residence, it is essential that your application is handled properly from start to finish. At Visaplace, we have literally helped thousands and thousands of people successfully immigrate to Canada, so they can visit, work, study or live, and we certainly can help you too! All you need to do is use our free online immigration assessment form here and we will get back to you within 24 hours. i my self Hasnain Ali syed living in PAKISTAN and a PAKISTANI nationality holder. I want to job in canada as i am civil engineer.